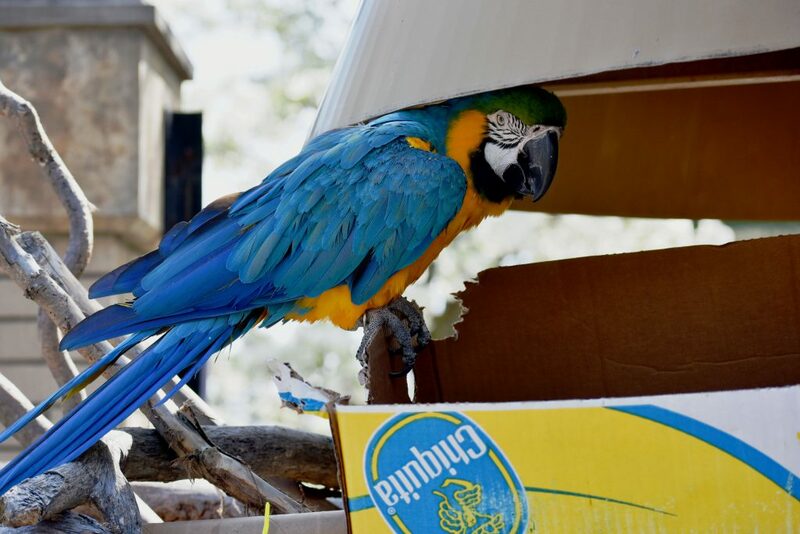 The blue and gold macaws beautiful plumage actually helps camouflage it against the brilliant colors found in its home. Macaws have a patch on their faces that lack feathers, which can act as a heat dissipater and for communication amongst other macaws. Strong pair bonds are formed and reinforced with mutual grooming and displays of affection. Samson is our Zoo greeter! As he is the first animal you will see when you enter the Zoo. These birds are reported to be wary of humans in the wild, tending to avoid populated areas. 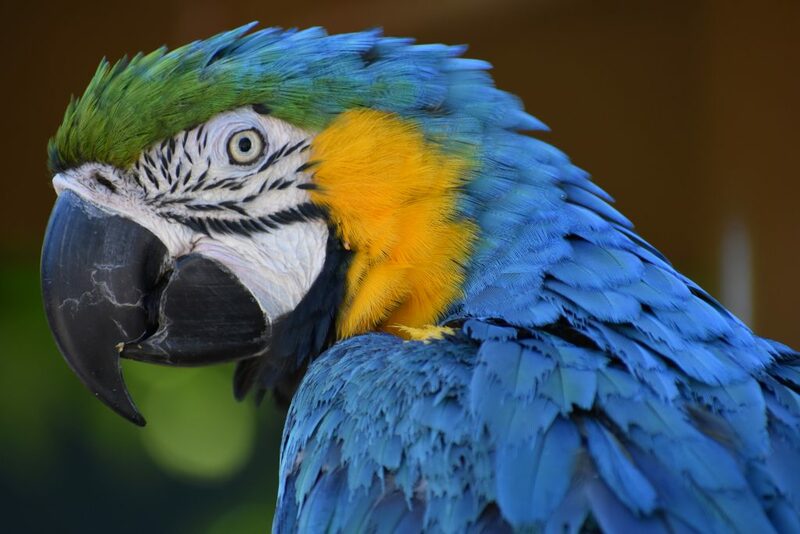 Common in the pet trade, illegal capture and exportation of these and other tropical parrots is still a major problem with wild populations today. Approximately 70-80% of animals illegally transported over borders for the pet trade die either en route or shortly after arrival. The United States is one of the top destinations for these birds and other illegally transported animals. Deforestation is a common threat to these animals, destroying nesting and feeding sites, often killing nest-bound young in the process.